Positioning your product is key to fostering a unique connection with your customers. When a product or brand is positioned well, it’s easy to point out. There’s no confusion around what the product does, it makes it clear how it differs from its competitors, and when new products are launched, everything feels succinct and connected. And when customers are ready to buy, that clarity is what will drive them to choose your product over any competitors. However, instead of creating an overarching market position, companies often rely on product features to position themselves as more valuable to the competition. This is a mistake as competitors can simply launch new features and continue to beat you with the same approach - an unending game of feature catch-up continues. Customers won’t be able to understand the difference and will get confused about what solution they should turn to for help. It’s likely that you’ve studied various best practices when it comes to product positioning, including Harvard Business School Professor Michael Porter’s definition. Michael Porter defined a competitive position in his 1985 book Competitive Strategy as a way of achieving competitive advantage. Porter identifies four different competitive positions based on broad or narrow market focus and product cost or product feature differentiation. A cost leadership position means that you are targeting the broad market, but you have lower costs than your competitors. So you can generate more profits with higher margins, or you can lower your prices to customers and take more market share. Walmart is an example of this. They are known for low prices. Porter's cost focus position is when you focus on a narrow or niche market with a low-cost product, such as Huawei. The differentiation leadership position is when you satisfy needs with your product differently than your competitors in the broad market. Apple’s iPhone is a great example of this. The differentiation focus position is when you satisfy needs with your product differently than your competitors in a narrow or niche market. Although this breaks down the different approaches, how do you execute on this positioning method? How do you apply this to your market and your product? You are probably already using industry best practices to lower your costs. But because you and your competitors are likely using the same best practices, lower costs on their own are likely not enough to lead you to success unless you are in a true commodity market. So your focus should be on differentiating your product’s value. Unfortunately, Michael Porter doesn’t tell you how to do this. He also doesn’t explain how you should determine if you should target the broad market or the narrow market. The key difference in JTBD positioning is that you don't use the product features to position the brand or product. Instead, you look at the steps a customer takes to get a job done and you focus on those steps. In order to identify the best competitive position, you need to first identify the underserved customer segment using needs in the job. Who is struggling the most with this particular JTBD? After that, you’ll break out the job steps within the JTBD and identify the underserved job steps with unmet customer needs. Focusing on those specific unmet needs in the job steps is where you can begin to create a unique position. JTBD makes it easier to generate growth out of new products because it helps companies avoid being stuck in a "product-focused position". Companies often fear launching and selling a new product because it may confuse their brand position with customers. For example, retailers might say they could never provide a service because customers don't know them for that. If you make yourself known for a job or steps within a job then it's easier for the team to believe they can release a totally new product and easier for customers to buy into it. Product Management frameworks are exciting to learn and frustrating to implement. As a product manager myself and a framework teacher, I totally understand the appeal. Being a product manager is a messy job. You’re constantly trying to explain to your peers what you do. You didn’t go to school for it. And every day you have to motivate really smart people who don’t report to you to align with your vision and decisions. 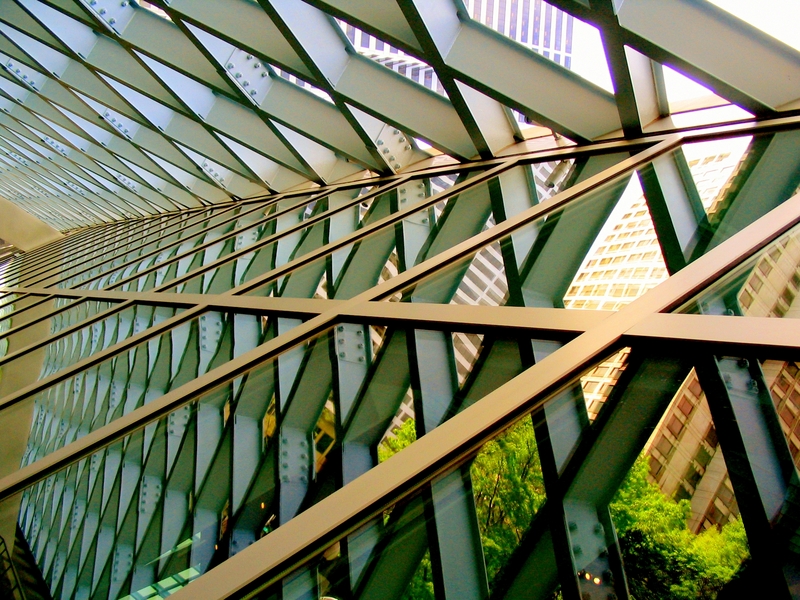 In the least, frameworks provide a comforting structure. At best, they align and focus your team, leading to operational rhythm and achieving your goals much faster than you anticipated. As a Jobs-to-be-Done trainer and consultant, I’m obviously a huge fan of frameworks. In the past few years of helping dozens of large and small companies with Jobs-to-be-Done, I’ve repeatedly seen the enthusiasm of learning something new followed by the struggle to implement the lessons. Those who overcome the struggle reap the rewards. Hype: Your team reads some articles or even a book about a framework and gets amped about using it to fix broken processes, operations, decision-making, etc. and hit the targets you’ve been missing. Thrill of Education: You bring in expert trainers to teach the framework to your team. The session is one or more days, and your team happily attends. They believe this new framework has great promise, the training will be a nice change of pace, and you ordered great food. At the end of the workshop, momentum is at its peak. The trainers were inspiring, and the team is excited yet a little intimidated about putting the framework into practice. Cannon Shot: The day after training you and your colleagues are shot out of a cannon. You spend the morning unburying yourself from the emails you didn’t answer while you were in all-day sessions. You look on everyone’s calendars to find time for the “Framework Implementation Meeting.” The next available slot is in two weeks. (While you were in the session the rest of the company slammed you with meeting requests). While you wait for the follow-up meeting, your team falls back into its operational patterns. That’s ok, you think, they need to finish their current projects, and there’s a bunch of research to do before we can really use this framework. The follow-up meeting can wait. Land of the Forgotten: This is where your dreams of fixing your broken processes fade. Your follow-up meeting got rescheduled. Finance told you to wait for next quarter to get budget for the research. Half of your resources are working on tech debt. Growth has slowed so much there are whispers of re-org--definitely not a good time to start something new. Your team, your work, your company, and your career remain on the descending path they were on before you learned about the framework. Don’t let this happen to you. I’ve learned from experience so you don’t have to. Here are three tips to implementing frameworks. Break the pattern and use frameworks to improve your team and achieve your goals. Frameworks can be extremely powerful, but they cannot add hours to a day. Not only is it unrealistic to ask a maxed-out employee to add something to their plate without taking something off, it’s demoralizing. We’ve all been on the wrong end of that equation, and as a product manager, you’ve already learned this lesson from your engineering team. Engineers can only handle a finite number of story points in a sprint. If you want to prioritize a new item, you have to de-prioritize something else. The same is true for Product Managers. You are not superhuman. To help your team adopt a new framework and the work that goes with it, change their responsibilities. Change their metrics of success. Change the way they write specs and user stories. Change the meeting schedule. Change the deployment schedule. Change your criteria for decision-making. Change the process for decision-making. Change one of these things, all of these things, or a new thing not listed here, but change something. Presumably, the reason you got excited about the framework in the first place is that something wasn’t going right on your team and you thought the framework could fix it. Articulate that something. Isolate it. Before you introduce the new framework, offer it to your team as the candidate for change and tell the team, “I expect the framework to replace this thing we do today.” If you do it right, adding the framework decreases the work. Two weeks later...fire alarm! Your team interrupts their current project to put out the fire. It takes another two weeks to clear the smoke. Now, they’re back on the project. At lunch one day, someone remembers, “Weren’t we going to adopt that framework?” “What would be a good project for that?” “We should talk about that when I’m back from vacation.” You get back from vacation to 500 emails. The framework is forgotten. Waiting to implement a new framework will kill it. Come up with a project (or multiple projects) that will use the framework before you train your team in it. Don’t wait for a special project. Insert the framework into whatever your team is doing today even if you can only make incremental improvements, which brings us to tip number three. Often when you learn a framework, you learn it from an expert who has spent years using, advancing, and teaching it. The framework is full of new terms with very precise definitions. There are specific research, analysis, and decision-making techniques. There are wrong ways of doing things with seemingly disastrous consequences. Leading practitioners have long-standing arguments about the right way to do things. The experience can be intimidating, like you’re walking on a minefield. One wrong step and BOOM. It can make you feel like using the framework requires perfection and a tremendous amount of work. You can’t use human-centered design without observing your customer in their natural setting. You can’t be Lean without lighting your road maps on fire, allocating all of your engineering resources to instrumenting every pixel of your application to measure user behavior, and hiring a coach for every team. You can’t use Jobs-to-be-Done without doing dozens of user interviews, running lengthy surveys, and executing a detailed analysis of every competitive feature against every customer need. All of the above activities are valuable and help you mitigate the risk of investing in the wrong product ideas but none of them are necessary to get started with a framework. You can use a framework before executing all of the research, training everyone in your organization, and building out the infrastructure to support it. Remember, the framework was appealing in the first place because something about your current work habits was broken and you were not realizing your aspirations. Even if you start with a small piece of the framework, even just the way of thinking, it will be better than what you were doing before. Start with that while you invest in full implementation. For example, if you’re implementing Jobs-to-be-Done, before you do all the research, create a hypothesis about the job your customer is hiring your product to do. Make sure it doesn’t include a solution. Then pick a feature your team is *currently* working on (don’t wait for a new one, see above). Ask, “How would this help our customers get the job done? Which struggle with the job does it help our customers overcome? Does it satisfy that need faster and more accurately than their current solution?” Then refine the feature based on these answers to try and satisfy the need better than the competitive solutions. Because you didn’t do your customer interviews yet, maybe your job will not be at the perfect level of abstraction or you’ll articulate it in a way that’s not exactly in the customer’s language. Maybe the need you identified is not the *most* unmet need because you haven’t done your survey yet. Perhaps you’ll miss an element of the existing solution that makes your speed assessment a bit off. But at least you’ll have a justification for developing the feature that is clearly connected to a customer problem, builds your team’s customer empathy, aligns your team with the customer’s goal and a clear goal for your feature, and potentially leads you to refine your feature and increase your likelihood of success with it. Those are a lot of benefits even though you are still far from implementing the framework perfectly. In parallel, you can do all the work related to getting the full value of your framework, but don’t wait for that. In the meantime, your team can perform much better than they do today. Your goal as a company is to build, market and sell products that satisfy customer needs better than competitors. Although it may sound oversimplified, identifying exactly what your customer’s needs are isn’t so straightforward for many teams. Research published by MIT Sloan found that 95% of all companies do not have an agreed-upon definition of a customer need. It’s likely your team also tends to argue about this. Without an agreement on customer needs, teams often use customer requests, sales requests, feature ideas, or technologies as inputs into product development. 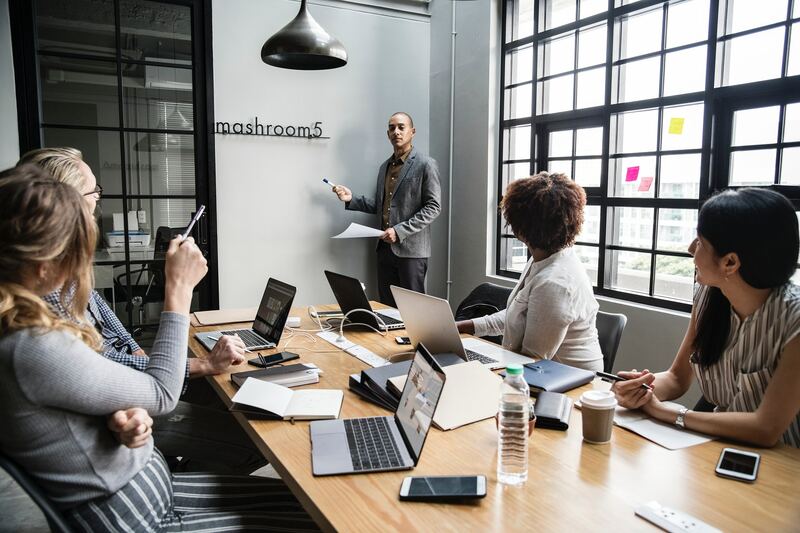 Although these may offer helpful insight into how to connect with your customer, none of them provide your team with an unchanging, consistent definition. In this post, we’ll teach you how to define a customer need, how to identify customer needs in your market, and how to organize needs to make them useful for your teams. With the traditional product development process, when a new launch fails to generate growth, your team is left to iterate or pivot using more changing inputs. By trying to hit a moving target, teams are basically guessing at what customers want. This eventually leads disagreements, arguments, and harmful company politics, and it ultimately leads to a company's death spiral. It is why products, companies, and often careers fail. Blackberry, Britannica, and Kodak all lost billions of dollars in equity value because they did not have a stable and quantifiable definition of customer needs. They defined their markets based on changing products and technologies, not on stable jobs and needs. You need a detailed customer need definition to make Jobs Theory useful and actionable for your team and your company. The best way to avoid trying to hit a moving target is to focus on the customer’s job-to-be-done. A customer’s job never changes and JTBD provides you with clear criteria on how to identify the customer’s job steps and needs within the job. It serves as a stable target for your team to hit, regardless of what product, services, or technologies evolve. You can learn more about how to answer the question of what your customer’s job-to-be-done is in this post. Similarly, your customer's needs in their job will not change either. Like the job itself, needs are stable over time because they are also independent of any product, service or solution. Let's look at our Apple and Google Maps example with the job-to-be-done being “get to a destination on time.” This is a stable job that will never change as opposed to “figure out a route to work” or “catch the next bus.” Getting to a destination on time becomes the market in this case. But if we want to build a superior product, knowing the job isn't enough. We need to double-click into the customer needs to determine what product features we should build to get the job done better than Apple and Google. In order to get to a destination on time, a lot of variables come into play (e.g., know the arrival time, the address of the destination, how long it will take to get to the destination, the optimal sequence of planned stops and if the destination can be reached on time). These are all variables in the job. In order to achieve their goal of getting to a destination on time, consumers need to do something with each of these variables; they need to take actions on them (e.g, calculate how long it will take, determine the optimal sequence, etc.). These actions along with each of the possible variables are what the customer needs to do to successfully achieve the goal and get the job done. Since every customer need has an action and a variable, you can measure the speed and accuracy with which customers can satisfy a need. This is the true power of Jobs-to-be-Done. You now have the ability to measure the speed and accuracy of your customer's needs to determine why they are unsatisfied in a market. To recap, customer needs are actions a customer must take using variables required to get the job done. Customer needs in the job, like the job itself, are stable over time and they have no solutions. This means that your team will have a stable target to hit. Structuring needs this way makes Jobs Theory useful and actionable for your team. It provides them with a shared focal point and a clearer understanding of what they are building, selling and marketing to customers. If you want to figure out the next steps in identifying and measuring your customer’s needs, take our Jobs-to-be-Done online course. Choosing the right product strategy is critical to your success and your ability to create equity value for your company. But many companies do not have a clearly defined definition for a product strategy. People often confuse operational effectiveness with strategy, focusing on their internal goals like reduced costs or revenue growth. Creating a product strategy based on your company and not your customer can quickly create a misalignment among teams, causing higher costs and unending arguments. The traditional way of defining a strategy is to focus more on what you are going to do for your company rather than saying what you are going to do for your customer. “Our strategy next year is to increase budget, hire a team, invest in a new marketing channel, etc.” None of that is what you will do for your customer. In 1996, Harvard Business School Professor Michael Porter wrote a famous paper called “What is Strategy?” Companies often use Michael Porter's definition of strategy, since he was a pioneering academic in the field, famous for analyzing industries to determine competitive strategy. In Porter's view, “the essence of strategy is choosing to perform activities differently than rivals do.” Activities companies perform include manufacturing, engineering, distribution, marketing, and selling. For example, mobile phone companies each perform these activities but they have had very different results. In many financial reporting periods, Apple has had 98% of the profits in the industry and it isn't because Apple performs activities differently, as Michael Porter would predict. In fact, Apple uses Samsung to perform some of their manufacturing activities. Apple has leading profit share because they satisfy customer needs differently than their competitors, enabling them to take leading profit share. Successful strategy satisfies needs differently than your competitors. So customer needs, not activities, should be the focus of your product strategy. This is why Michael Porter is outdated. Because in 1996, MP didn't have the customer's JTBD in his strategy toolkit. Performing different activities from your competitors is important, but anyone can copy activities using industry best practices. Satisfying your customers JTBD in a unique way is harder to copy. Needs in your customer's job-to-be-done, not your activities, should be the foundation of your strategy because your customer's JTBD tells you what activities to perform to satisfy your customer better than your competitors. A product strategy is making three choices - identify which job beneficiary to target, select which job-to-be-done to fulfill, and determine which platform you are going to use to satisfy customer needs differently than your competitors. Let's look at a well-known example to demonstrate why a JTBD-based product strategy definition is more useful. We all have executed the job of creating a mood with music. While the products have changed dramatically over time, the job is stable and has not changed. The needs in the job have not changed either. For example, one need in creating a mood with music is to find a new song for the mood. This need follows the job-to-be-done structure with an action and a variable. So we can measure the speed and accuracy of different platforms satisfying this need. Let's look at how satisfying this need has changed over time with the arrival of new platforms that led to different product strategies. In 1984 when the CD was released, finding a new song for the mood was time-consuming and often very inaccurate, because you often couldn't find a new song. The speed was slow and the accuracy was low because consumers were forced to buy entire albums. Then, CD changers emerged to help with this need by enabling consumers to search their library for songs. But finding a new song for a mood was still time-consuming and not always accurate. The iPod of course, was a huge improvement because it reduced the steps and time significantly. Accuracy was improved with the introduction of the iTunes store, but you still might not be able to quickly find a song for the mood. However, Microsoft was clearly not using customer needs in the job to create their product. In 2007, Microsoft’s Zune simply tried to copy what Apple was providing without making the experience faster or more accurate. This is an excellent example of why products succeed or fail with the right product strategy. But Pandora launched with different product strategy using a new platform: streaming. Pandora's streaming and music taste algorithms satisfied this need faster and more accurately. When Pandora launched, it was signing up 90,000 new users per day because it satisfied unmet needs in the job faster and more accurately. This is a great example of where product strategy can lead to success or failure. A company with enormous resources (Microsoft) chose the wrong product strategy (i.e. using a hard drive to satisfy needs in the same way as the iPod) and it led to failure. In contrast, Pandora chose a differentiated strategy to satisfy needs faster and more accurately and it took Apple an entire decade to launch a competing streaming service. To recap, you create a product strategy by identifying a job beneficiary and job to target, and then choose a platform that will satisfy unmet customer needs faster and more accurately than your competitors. Using Jobs-to-be-Done as the foundation for your product strategy means you will have a strategy that is unambiguous and easy to remember. Everybody is aligned and it gives you direction on what to do in your department to fulfill strategy. It mitigates risk because you know whether or not you're building the right platform or not. Creating equity value in your company comes down to one thing - your ability to satisfy customer needs better than competitors in your market. This is why competitive analysis is critical to your product strategy. But often times, product teams use traditional “industry” research to identify their competitors, creating a product roadmap based mostly on what features are already in the market. The challenge with this thinking is that you risk playing feature catch-up while your real competitor sneaks up behind you and steals significant market share. In this post, we will teach you how to identify your real competitors. You will also learn how to identify competitor weaknesses that you can exploit to create more equity value for your company with less risk. 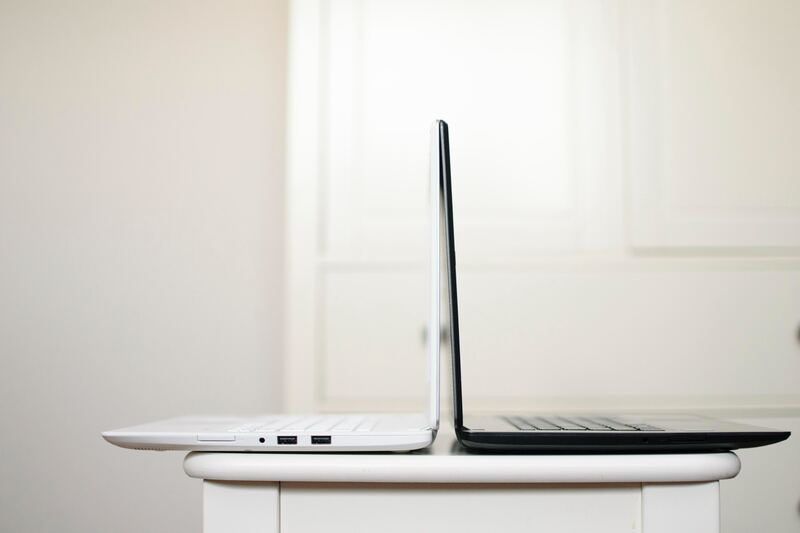 In traditional competitive analysis, product teams often compare their own product's features to a competitor's features. If Product A has all of the features of Product B plus a few more, then Product A has the advantage. In their minds, more features equal competitive advantage. The problem is that customers don't want features; they want to get their job done. Focusing on feature-to-feature comparison is the wrong way to think about competitive differentiation. Your team will be constantly trying to catch up - with very little chance of actually doing so. If you've ever been on a team that is playing feature catch-up, you know it's like bailing water out of a leaky boat: every time you release a feature and think your work is done, your competition releases something new, racing ahead of you yet again. You will always be a step behind. For example, Microsoft thought they caught up to the iPod by including all of its features in the Zune. Apple launched the iPhone. Microsoft tried to catch up again with the Windows Phone. Playing catch-up leads to failure. Plus, just because it's market standard, doesn't mean it's the best way to do it. What seems like state of the art today will be archean tomorrow. Your customers' struggle to get the job done causes them to look for new competitive solutions to get the job done faster and more accurately. In order to beat your competitors, you have to start with where the customer struggles to get the job done and figure out where the competitor is failing. Where are they not getting the job done fast or accurately enough? First, identify all the competitors (products, services, technology, or manual processes) that satisfy needs in each step in the job. Then calculate the speed and accuracy with which the competitors satisfy the needs in the steps. Let’s look at an example of a customer job-to-be-done creating a mood with music. The Zune team at Microsoft compared the Zune to the iPod using traditional product feature analysis. The Zune actually had more features than the iPod, including a Podcasting feature. But this analysis did not help determine if the Zune was going to take market share from the iPod. This analysis is flawed because customers don't want features, they want to get their job done. Zune, for all of its features, was getting the job done in the exact same way as the iPod. Pandora, however, had fewer features than the iPod, but because it had a different feature (automatically generated streaming playlists) that satisfied an unmet need in the job of creating a mood with music, it was able to grow successfully and create equity value. This illustrates why your competitive analysis should not be based on feature comparisons - because feature comparisons are not predictive of your growth. The speed and accuracy with which the competitive solutions satisfy the needs are the benchmark for how good your new solution needs to be. If it does not satisfy the needs faster and more accurately, you have not given customers sufficient incentive to switch to your product. Focusing on your true competitor, you will avoid the risk of wasting capital and feature catch-up. With Jobs-to-be-Done, you’ll figure out where the customer struggles to get the job done, and where the competitor doesn't help the customer get the job done fast or accurately enough. Want to figure out your true competitor? Take our online Jobs-to-be-Done course today. Brainstorming can feel like the wild wild west of product planning. The unpredictability of idea generation sessions can derail productivity and leave your team more at odds than before. Despite its unruly nature, product teams still use open-ended brainstorming to identify new product ideas. In this post, we will teach you how to generate winning product ideas for new features using unmet customer needs in a Job-to-be-Done. We include an example of how to beat Google Maps and Apple Maps using this technique. One of the most popular methods to generate new feature ideas is brainstorming. To facilitate the generation of new ideas, there is often only one rule in brainstorming - there are no bad ideas. In other words, your team is not supposed to use any criteria to judge new ideas on the assumption that this will enhance creativity. Brainstorming has proven to be ineffective at generating valuable product ideas. The reason brainstorming is inefficient is because it doesn’t include any quantitative criteria your team can use to quickly and efficiently judge new product ideas. Those criteria are the unmet customer needs in the job. 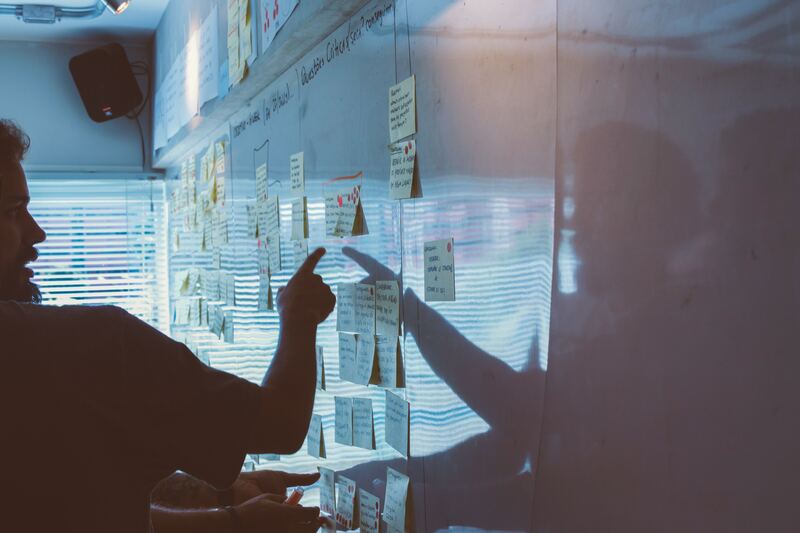 Because Jobs-to-be-Done identifies unambiguous and quantifiable customer unmet needs in your customer’s JTBD, your team can use these unmet needs as the criteria to judge your product ideas. This eliminates any opinion-driven decisions and instead frames all ideas in the context of whether or not they will help your customer overcome the struggle to get their job done. Let's look at our example of Apple and Google Maps. What feature idea will help us beat Apple Maps and Google Maps? We know that customers aren’t waking up in the morning saying, “I want to use a navigation app today!” Of course, not. Instead, they’re ultimately asking for something to help them get to a destination on time. This is the Job-to-be-Done that consumers are “hiring” navigation apps to do. Consumers getting to a destination on time is the underlying market for navigation apps. 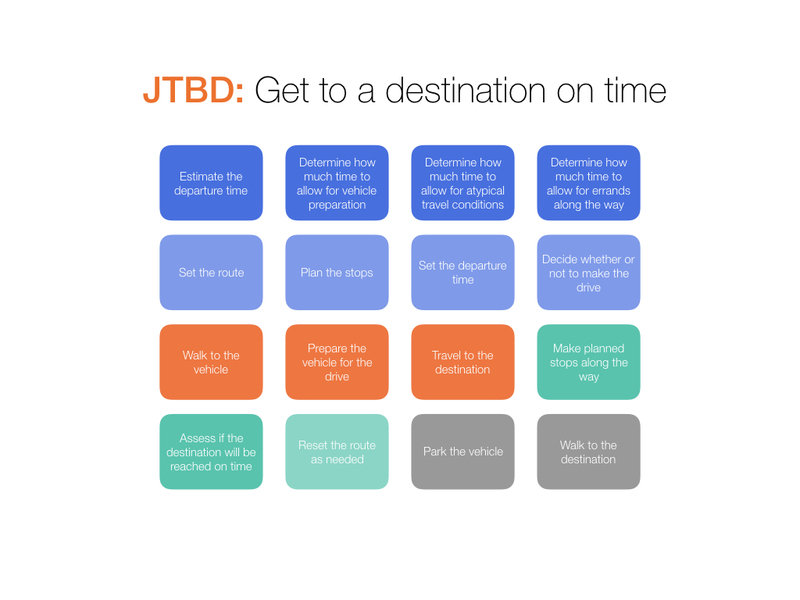 Above are the 16 steps in the JTBD of getting to a destination on time. Job Steps are all the things a customer has to do to complete a job. Once we know the job steps, we identified the needs in each step to determine how customers struggle to get the job done. For example, customers need to determine the optimal sequence to make planned stops in a busy day. to use to generate and judge new product ideas. To determine if this is a struggle, the thrv team asked consumers in a survey how difficult it is for them to determine the optimal sequence to make planned stops. We determined the customer's struggle by calculating a customer effort score. And we used customer effort scores to identify an underserved segment of customers who all struggle to get the job done in the same way. This revealed that 86% of customers in the segment did not find it easy to determine the optimal sequence to make their planned stops. And for each customer need, we used the existing competitive solutions - in this case, Google Maps - to determine how quickly and accurately a customer can satisfy the need with the existing competitors. In this example, satisfying this need takes five minutes or more and is only 20% accurate. With our quantitative data and analysis, we discovered that it takes too much effort for customers to satisfy this need with our competition - Apple Maps and Google Maps. These effort, speed and accuracy scores are your baseline for our idea generation. In other words, the unmet needs in the job are the criteria to use to generate and judge new product ideas. Let's use this unmet need to generate and judge new product ideas. How can we help consumers determine the optimal sequence to make planned stops faster and more accurately?n To help them determine the optimal sequence in their busy day, one idea was to create an assistant service. A customer could call a remote assistant who would have access to their calendar, assess their stops, routes, and likely arrival times. And then make recommendations to re-order their stops. We can score this idea using the speed and accuracy of satisfying the unmet needs with our Assistant Service features. And we can assess the likely resulting customer effort. Our second idea is called Sync & Optimize. This idea includes syncing with a user's calendar to determine the stops in their day. And to create an optimization algorithm that will factor in which stops can be moved, what the likely local traffic conditions will be at the time, and any atypical travel conditions like traffic or weather that may occur as the departure time approaches. The Sync & Optimize feature automatically and instantly optimizes the sequence of their planned stops. Want to see how these two product ideas compare? Learn more in our online course. Jobs-to-be-Done provides you with clear, objective criteria to generate and identify the best product ideas so you can end debates and build features your customers actually need and want. JTBD helps align your team with your customers and helps you get faster executive approval on your product roadmap. Quick Review: To identify the best feature ideas, determine the JTBD and the steps, quantify the unmet needs in JTBD and segment customers, finally analyze and calculate the competitive speed & accuracy baseline for each of the unmet needs. Then you are ready to use the unmet needs to quickly generate and judge the best product feature ideas. Market sizing is used to determine which markets are worth investing in. If a product wins its market, it still may not be worth building if the market is not large enough to generate a sizeable return. To make this decision, you need a good definition of a market. The traditional way to size a market is to use a product-based market definition and a formula that looks something like: product price * number of buyers = size of market. But what do you do when your market sizing calculation leads you to invest in an existing product category that totally goes away when it is disrupted by a brand new invention? And how would you size the market for that new product category and know whether or not it’s worth investing in? Defining and sizing your market incorrectly can lead directly to product failure and missing enormous opportunities. In this post, we’ll show you how to avoid traditional market sizing mistakes by using Jobs-to-be-Done to size your market. Let’s look at an example of using the traditional product-based market sizing formula. In 2007, you could have looked backward at iPod Sales and seen that Apple sold 200 million units at a price of $150. Our traditional formula (product price * number of buyers) tells us that the iPod market was $30 billion and the MP3 player market was even larger. In 1990, you could have tracked sales of encyclopedias (Britannica alone sold 120,000) and identified a multi-billion dollar encyclopedia market. In 1996, Kodak’s revenues reached $16 billion as it dominated sales in the enormous film market. All of these market size calculations would have fooled you into making terrible business decisions. Kodak went bankrupt in 2012. Encyclopedia Britannica was sold for half its value in 1996. And in fact, Microsoft thought the MP3 player market was so attractive, they invested in the Zune, which they wrote down as a $289 million loss in 2007. With the launch of the iPhone, the MP3 player market went away. In 2007, customers didn’t want iPods anymore than they want records, cassettes or CDs. They wanted to create a mood with music. “Creating a mood with music” is a job your customers want to get done and they hire product solutions to do it. In fact, the MP3 player market never existed. “Creating a mood with music” is the market. The product-based definition of the market will lead you astray. Markets defined with Jobs-to-be-Done will remain stable over time and give your team a clear target for innovation. 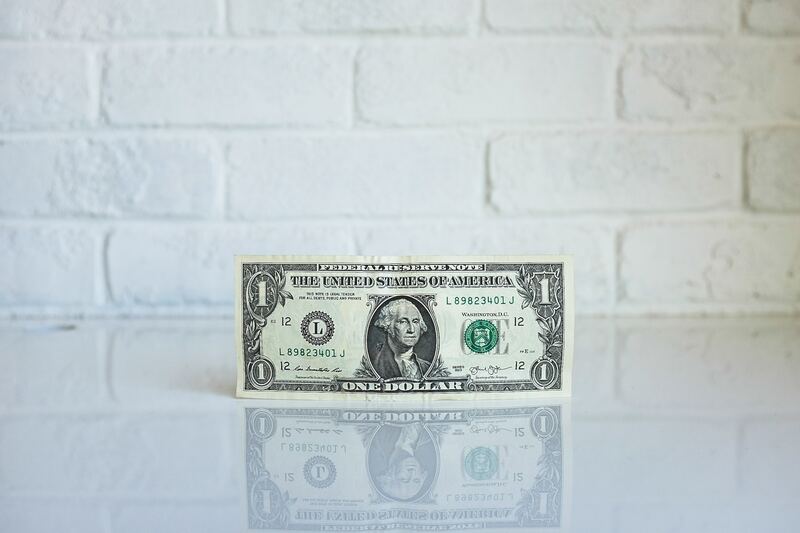 Sizing your market based on the customer’s job will help you put a dollar value on new product categories your company should invest in that cannot be sized looking backward at old product sales. To size a market opportunity, don’t analyze the products currently in the market. Instead, analyze the willingness to pay to get the job done. Identify the range of your customers’ willingness to pay to get that job done using interviews and surveys. Chart the answers on a scatter plot and draw a best fit line through the points. The area under the curve is the size of the market. This will help you identify if the biggest opportunities are in the premium market or the low-cost portion of the market. Let’s look at an example. How would you do this if you wanted to take share from Google Maps and Apple Maps in which the traditional market sizing formula would show us a market worth nothing ($0 * Billions of users = 0)? Define the market not as the ‘map app’ market but as a job-to-be-done e.g. “get to a destination on time”. In interviews and surveys ask people who need to get the job done how much they would be willing to pay to get to their destinations on time every time they tried to it. Chart the range of answers on a scatter plot and calculate the area under the curve. We actually did this research at thrv and found a premium ‘get to a destination on time’ market worth $2 billion. These customers are willing to pay for a new solution because they cannot get the job done effectively with the existing solutions in the market. In other words, they have unmet needs in the job. When you have an idea for a new product, it can be hard to answer the question “Is the market big enough for it?” when all you have is sales of existing products to size your market. If you use Jobs-to-be-Done to size your market, you will be able to justify investments in new product categories that make your company the leader. Instead of launching products like the Zune into markets that are about to disappear and recording losses, you will be focused on stable markets and be able to defend and win investments in products like the iPhone. You will accelerate your company’s growth. Want to learn exactly how to apply this to your product and company? Take our Jobs-to-be-Done online course. After creating your own market sizing analysis, we’ll show you how to then identify unmet needs in your customer’s job-to-be-done and stop relying on demographic-based personas. The goal of market segmentation is to identify a group of customers (a segment) who are different from the whole population. It is a tactic for product, marketing, and sales teams to relate to customers - the more of a story you can build about a potential customer, the better you can understand them. Powerpoint slides of customer personas are passed around the office for you to study. “Rachel likes to vacation in the Florida Keys.” “John has two children and works in ‘the city’.” It's an interesting description of a person, but what does it have to do with the product? And if you're a product manager, what does it have to do with you and your work? The problem isn’t market segmentation as a whole, but rather how it’s being executed. 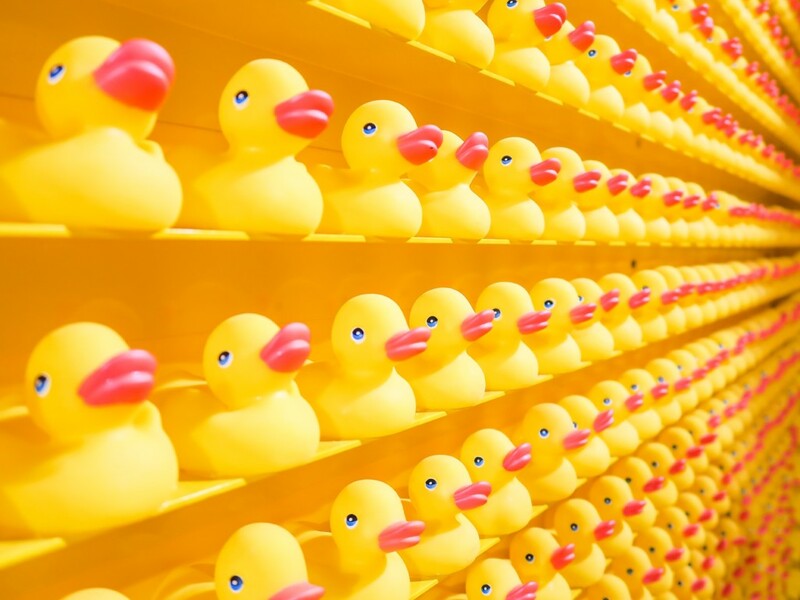 If done well, segmentation can help you find a narrowly defined, underserved group of customers who are different from the total population and more likely to adopt your product. It can also help you understand how that group is struggling and how you need to improve your product to gain their business. "Selling to people who actually want to hear from you is more effective than interrupting strangers who don't." What’s missing in many traditional approaches to segmentation is the true common denominator - the customers’ struggle. 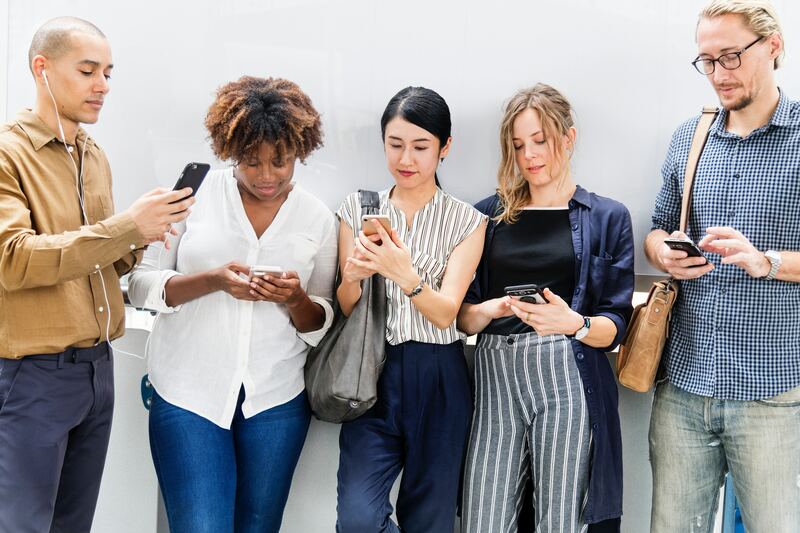 Traditional segmentation uses characteristics, such as demographic, psychographic, geographic, behavioral and situational attributes, to group customers. They’re hoping that they will correlate with a common struggle and a likelihood of purchasing your product. But the problem is none of these characteristics cause people to buy a product, their struggle with the job does. Customers will use products that help them get the job done better. Read more about what a Job-to-be-Done is. Often a broad population of people who have the same job-to-be-done, i.e. the same goal to achieve, struggles with the job in many ways and no particular struggle stands out as being especially severe. This makes it hard to determine which problem to solve and where to focus your solution. We use segmentation to identify a smaller, but valuable, group of people who have more specific and more severe problems on which we can focus. With Jobs-to-be-Done you can segment directly by struggle instead of using traditional characteristics. In this post, we will show you how to find that attractive group of customers who will actually buy your product, review the limits of traditional segmentation and personas, and show you how to use Jobs-to-be-Done based segmentation to find underserved customers. Persona development is not inherently bad if the persona includes how the segment struggles. But personas that are based only on characteristics are much less helpful because people do not buy products based on the school they went to, how tall they are, where they work or what they read. They decide to switch from one solution to another based on what pains them the most and what solution promises to remove that pain. Here’s a traditional approach to using demographics and behavioral characteristics to develop two personas, Paul and Kate. They don’t help product teams figure out what to build because they don’t tell you what problems Paul and Kate have and if their problems are different from each other or the broad population you could target. None of these characteristics preclude Paul and Kate from finding the same solution useful. This can cause you to undersize your target market and miss a big opportunity. In other words these characteristics aren’t why Paul and Kate buy the things they do. There may be a correlation worth noting in your analysis, but it isn’t the core driver. When Paul and Kate need to get to a destination on time, they may struggle in the same way - regardless of their characteristics.In fact, when thrv researched how to take share from Google and Apple Maps, we found that there was a group of people who struggled similarly with planning multiple stops when they tried to get to destination on time even though they had totally different demographics, psychographics, etc, like Paul and Kate. They likely make frequent and unfamiliar stops and could be salespeople, medical professionals, delivery people, or anyone who confronts this situation on a regular basis.Not only did this group have common struggles, but they were different than the broad population who didn’t have such clear and severe struggles. This is a more useful way to describe a segment because it provides direction on what to build. If a new solution satisfies the needs related to planning multiple stops, this group of people are likely to adopt it. Characteristic-based segmentation would not put these two people in the same segment and would have caused us to undersize the addressable market and miss targeting likely buyers. Customers buy new products because they struggle to get a job done at a price they are willing to pay, regardless of their characteristics. The same approach can be applied to B2B markets. Companies often define their customers using verticals like healthcare, consumer packaged goods, or financial services and firmographics such as the size of the company. For example, if your company provides cloud storage to CIOs at medium-sized retail companies, you might never consider selling to large financial services companies because they are a totally different segment. 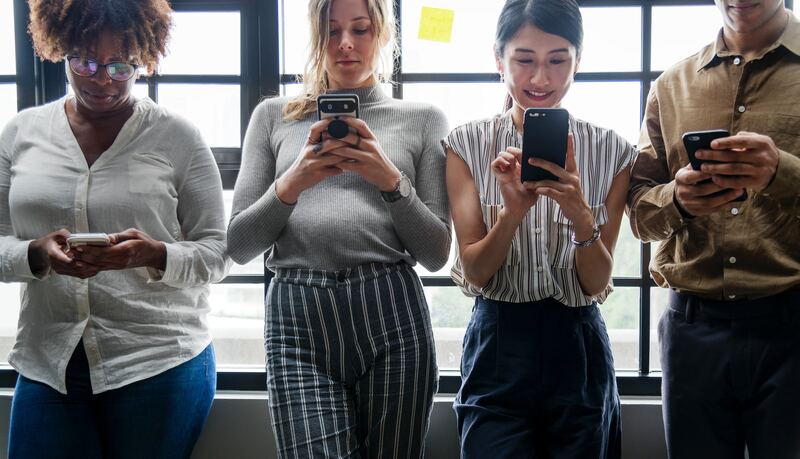 However, if you consider their job-to-be-done: enable secure data use for their employees you might find that companies in different verticals and different sizes struggle in the same way to get the job done. Traditional vertical segmentation does not reveal a group of customers who struggle in the same way to get a job done. In fact, our team conducted research in this market and discovered a very valuable segment of CIOs who struggle to enable secure data use for employees because they make frequent network upgrades, not because of their vertical or size. Read More: How to Answer The Question "What's the job-to-be-done?" Jobs Theory demonstrates that the struggle to get the job done causes a purchase. We call this struggle an unmet customer need. 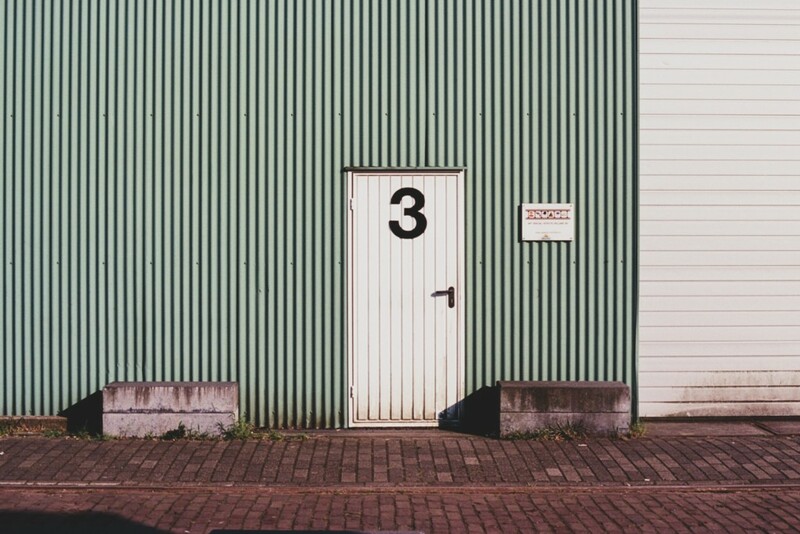 To determine which customer needs are unmet, we follow these four steps. Step 1: Run a customer effort survey of people who try to get the job done. Ask customers how difficult it is to execute each customer need in the job. This is a customer effort score--a high score indicates a high struggle to accomplish the need. Read more about what a customer need is. Step 2: Cluster the respondents based on which needs they rate as high effort. In Jobs-to-be-Done segmentation, we use K-means clustering on customer effort scores to find underserved customer segments. You can use any clustering algorithm you like. The key is to cluster respondents around the needs they rate as high effort. We’ve studied hundreds of jobs in this way. The remarkable thing is that when we cluster survey respondents by their characteristics, we very rarely see differences in the unmet needs between a given demographic, psychographic, etc. characteristic and broad market. But if we cluster the respondents based on the unmet needs they have in common, we see clear differences with the broad market and often can identify a segment that struggles more severely and more specifically than the general population. Step 3: Calculate the willingness to pay of each segment To identify the market size of each segment, and to determine which is the most valuable, we include a form of Van Westendorp price sensitivity questions but instead of asking about how much customers are willing to pay for your product, we ask how much they are willing to pay to get the job done. We plot their answers and draw a best fit curve through the scatter plot. The area under the curve is the size of the market. You have identified segments with unmet needs that are different from the broad market and you have calculated the willingness to pay of each segment. Now, choose a target segment that has the best combination of a high number of unmet needs you can satisfy and a market size that is large enough to justify the investment it will take to satisfy the needs. Once you’ve selected the segment, you can use profiling characteristics to see if they will help you find it. Most advertising platforms use some form of demographics to target audiences. 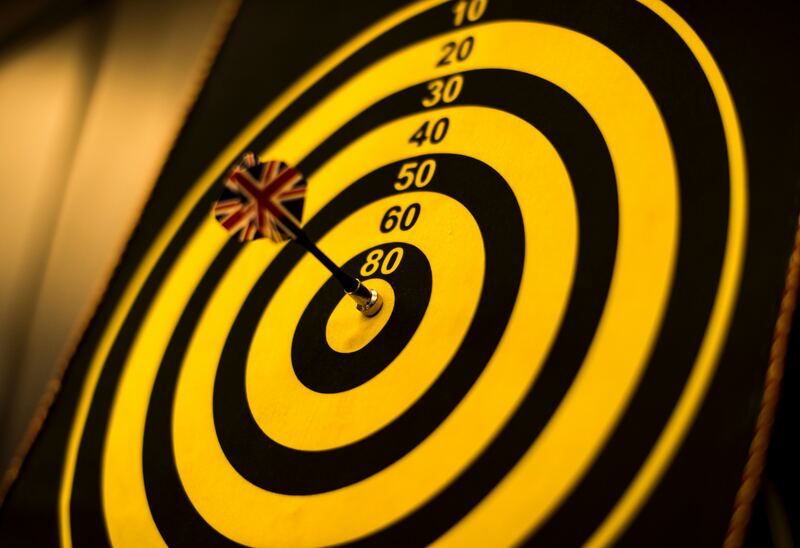 Look at the underlying profile traits of your target segment to see if they will help you distribute your marketing campaigns. If there are common traits among your segment, it can make your marketing efforts a bit easier. Often, though, there are no dominant traits. Don’t panic. AdWords is a very effective tool for marketing to a struggle without targeting a specific demographic. Want to apply this method to your own company and product? Take our Jobs-to-be-Done online course, and we’ll walk you through how to survey customers correctly and how to use the JTBD statistical cluster analysis to find underserved customer segments in your market. The course includes video lessons, detailed examples, JTBD techniques, and custom exercises in your market. You will quickly get insights that you can use to build, market and sell your products. Coming up with the right set of features for an MVP is a pressure-filled task. If your MVP doesn't succeed, convincing anyone to continue investing in your product (or company) is an uphill battle. Your team's once strongly held opinions are revealed to be guesses and you are left wondering, "how many more guesses can we afford?" Without clear criteria for what feature ideas will deliver customer value, your MVP could end up looking like a hodge-podge of half-baked ideas, leaving you with a product no one needs and zero runway to burn. We sat down with JP Luchetti, CEO of Yolion, a startup that helps consumers get more value out of what they spend. Yolion is an app that helps UK families get better value for money in their everyday spending and household bills seamlessly. All Yolion users need to do is connect their bank account to the app, and then the savings start rolling in. 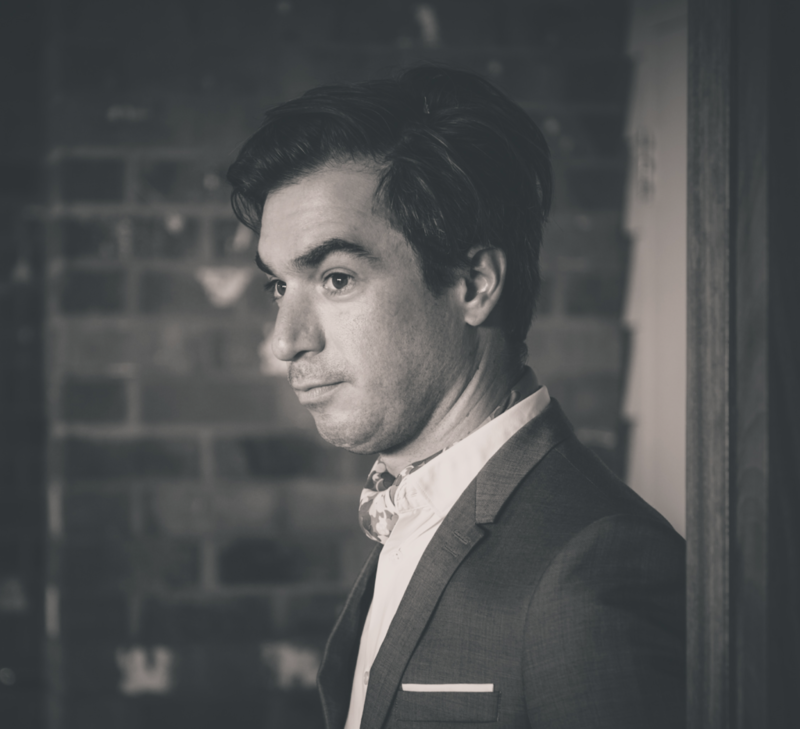 We talked to JP about how he and his team used Jobs-to-be-Done to understand and quantify customer needs, generate and filter ideas for their MVP, and deliver a prototype that wowed users. Along the way the product, technology, commercial and marketing teams with aligned around a empathy for their customers, criteria for good feature ideas, and a common language based on Jobs-to-be-Done. Read on to find out how Yolion achieved all of this. What were some of the biggest challenges you faced before implementing jobs-to-be-done? When we first started building the product strategy, we were basically in diapers. We had a gut feeling about the things that would work and knew it would eventually come together, but we weren’t clear on how that was going to happen. Our team had an idea of what the value proposition would be, but couldn’t articulate who our client was or what they were struggling with. We also didn’t have a good understanding of who the competition was and what they were good at solving. We had actually tried Jobs-to-be-Done a couple of years ago, but we didn’t understand how to implement it. For us, figuring out the job was easy - we wanted to help people get the most of out their money. But understanding the customer’s job steps it took to get there was unclear. This is what thrv helped us do. What were some of the biggest takeaways from the Jobs-to-be-Done process? Jobs-to-be-Done gave us the confidence to move away from building what is easy and makes sense to what we know will drive value and an MVP that defies conventional approaches. It gave the team (product, tech, marketing, etc.) a clear understanding of who our customer is, what they are trying to do, and where they are struggling. It gave us a very clear understanding of the market, allowed us to see where the gaps were and showed us how to build a product that filled those gaps. How did you find those gaps in the market? We found out that the competition was focused on helping people get the job done as opposed to just doing the job for them. We saw an opportunity to move away from helping our customers to just doing it for them completely. Instead of building a comprehensive product that helps people get the job done, we could build a very narrow product that gets the job done with minimal time and effort on the user side - a great MVP to define a footprint and grow from. thrv and jobs-to-be-done not only helped us define our market and unmet needs, but it also helped with market segmentation. That market segmentation gave us the ability to say, “This is a group of people who are willing to provide data to get the job done.” Before that, I couldn’t paint a picture of who our target customer was. And honestly, I couldn’t answer one of the key questions you get in banking which is “How are you going to get people to trust you?” Before we had the results of the survey, I didn’t even want to get into that ring. I would shut down conversations. Today, we have a very clear understanding of who our target customer is. This is the group of people who have articulated their struggle the most and provide the greatest opportunity in the market. When we show them the product, they can quickly articulate our value and show a willingness to pay because they understand what we are doing. What was one of the biggest breakthroughs you had in the process? After identifying the market and customers, we mapped out the job steps and had a visual of what we had to do for the customer. The major breakthrough came when we realized we didn’t want to help the customer do the job steps - we wanted to do get the job done for them. We wanted to kill steps in the process completely. Seeing people interact with the product and reactive so positively was validation for us. The conventional way to tackle our problem would be to show someone how much they spend on groceries and create anxiety by pointing out opportunities to save. The Yolion way is to analyze your behavior through your spend data coming from OBP and then activate offers on the merchant you already visit. This way we seamlessly make it more affordable to spend with the merchant you already love. Having the ultimate JTBD focus changed our point of view of what the job steps were for. A particular job step (e.g. “see where you spend”) is not valuable in and of itself, it’s only valuable insofar as it helps our customer get the job done. If we can get it done for the customer, then we will do that. From there, we just got laser-focused on what we needed to build. Although many people on the team initially thought to build a dashboard, when we asked “is that the fastest way to get the most value for what you spend?” the answer was obvious--no. Just viewing data left a lot of manual work for our customers to achieve their goals. How did you get the entire company aligned with this new approach? Getting people on the same page can be a huge challenge. We had a lot of people who were very adamant about what they thought the product was going to be. When we did get that pushback on including the dashboard, we relied on customer testing to provide evidence that was inarguable. We compiled videos to make sure our team could see how people were reacting. We wanted to remove opinions and only focus on the evidence. Jobs-to-be-Done gives you ammunition to articulate exactly what you need to build. How will JTBD help you in the future? Moving forward, we now have clear criteria of how we make decisions has empowered the team. When someone brings up a new idea, we put it in a list and look at which customer needs in the job it fits and how well it could meet them. It’s a great way of being able to evaluate ideas quickly and with little emotion. That’s one of the key things we learned from the jobs-to-be-done process. We’ve moved away from subjective comments about what features our employees like or don’t like and instead focus on how quickly and accurately they get the job done. Previously, the subjectivity would cause so many problems because once you verbalize an idea, you’ve fallen in love with it. Anyone that comments on the idea you just verbalized, it feels like they’re talking about you. Jobs-to-be-done gives the team the ability to look at their ideas before they talk about them. It helps you be less subjective about your own ideas as well. Without the JTBD process, we would have built a monster. It was complicated, twisted. Now, the product is just so simple. At the end of the day, identifying the job wasn’t the revelation. The revelation was finding the gaps that the competition wasn’t doing in the job. We killed steps entire job steps for our customers. If we hadn’t broken down the job steps, we wouldn’t have seen the gaps. And then we wouldn’t have been able to determine the value our product could deliver to the customer. A lot of people have this idea that once they figure out what the job is, people are going to be blown away, it’s going to be a totally disruptive thing and we’re going to have to back up what the job is. But to us the job was obvious. What wasn’t obvious is how we’re going to get it done. What features would we build for the MVP? How would we back-up our roadmap? The JTBD process helped us get there. Jobs-to-be-Done is the perfect ammunition you need to execute a perfect product strategy. Our strategy is centered on the JOB and how we get it done. The product is not an amalgamation of features that make sense. The product strategy is not a backlog of features or changes to be implemented in time. Our product is ONE THING, clearly defined and very, very simple. If we would have launched early based on opinions, we would be out of money by now. But we’re not. We have a series of market data points that support what we are building. There is a level of confidence in the team that you cannot pay for. The product team is talking at a different level and they know why and what they’re building. In Jobs Theory, there are three types of jobs-to-be-done your customer is trying to get done - functional, emotional and consumption. Knowing the difference between these three jobs is critical in your ability to define your market, to identify unmet customer needs within that market, and to create an outstanding customer experience. No matter what theory, framework, or method you and your company may use, it is vital to remember that your customers are real people with real goals they are trying to achieve in their personal and professional lives. These goals (called “jobs-to-be-done”) are real and measurable regardless if your company serves consumer markets, business-to-business markets, or medical markets. For example, parents need to teach kids behaviors like managing anger, learning a subject, eat healthily, etc. Financial executives need to optimize company cash flow, comply with regulations, and mitigate investment risk. And doctors need to diagnose a medical condition, obtain blood samples, and prescribe medicine. All of these are “functional jobs.” They are goals people are trying to achieve. And because they are goals, the success of achieving the goal can be measured using speed and accuracy. For example, how quickly can parents teach their children to manage anger? How accurately can a CFO comply with regulations? And how fast can a doctor make an accurate medical diagnosis? If your customers cannot achieve their goal fast and accurately, you have a market opportunity to grow by innovating (i.e. by creating a product or service that gets the job done faster and/or more accurately). Customers switch to a new solution when the new solution helps them achieve the goal (i.e. get the job done) faster and more accurately. Functional jobs are independent of any solutions they might be using. So when you answer the question of what your customer’s job-to-be-done is, be sure to not include your own product in the statement. To figure out how to come up with the right functional job statement, take a look at this post on How to Answer the Question “What’s the job-to-be-done?”. The second type of job is an emotional job - how your customers want to feel and be perceived while executing the functional job. For example, overcoming anxiety can be an emotional job as customers want to avoid feeling anxious due to being late and perceived as unprofessional. Customers are, of course, human. Even though your product must meet the needs of the functional job first and foremost, addressing the emotional job is also important in fully understanding the needs of your customer. Emotional jobs can highlight how your customer wants to feel about themselves when they are executing a functional job or they can be social, focusing on how they want to be perceived by others while executing a job. Either way, it’s important to gain insight on what these emotional jobs are so that you can have the full story of their struggle. The third type of job is consumption jobs. They are what a customer has to do to utilize a solution. If you are trying to get to a destination on time, to use Google Maps as a solution, you will have to interface with a mobile app while driving. “Interface with a mobile app while driving” is a consumption job. Tasks that include verbs such as learn, install, maintain, repair, dispose of, unbox, etc, are often consumption jobs. All three types of jobs are important to identify and analyze because together they contribute to your customer’s full experience of your product. To see how these three types of jobs come together, let’s look at an example. Functional job: Get to a destination on time. We know that getting a destination on time is a functional job. It’s a goal people need to achieve every day, and it is independent of any solution. But what are some of the emotional jobs (or goals) that people have when trying to get to a destination on time? Perhaps they want to avoid feeling anxious about being late for a meeting. They most likely want to feel safe while getting there. The heightened emotional repercussions of not getting to a destination on time are what gives context to how a functional job is fulfilled. If the functional job is executed poorly, it negatively impacts the emotional job and creates negative emotions and anxiety for the customer. The consumption job comes in when customers are using a particular tool to help them get to a destination on time such as an Uber or Lyft app. Interfacing with an app while driving is an example of a consumption job - a job that is related to using a solution to get a destination on time. Although emotional and consumption jobs are important and contribute to the overall customer experience, it is the functional job that defines the market. Many people will argue that the way a product makes a person feel or the design experience created is just as important as the functional job. Although they may add more value, at the end of the day if your product isn’t fulfilling that main functional job - customers will fire you. To make this example concrete, let’s say you are using two apps: one that has a high probability of helping you sell your used car, but with a poor interface, and one that does not have a high probability of selling your used car, but has a beautiful interface. It doesn’t matter how beautiful the second product is if it doesn’t solve the functional job of selling your used car - the first, ugly product will win in the market. 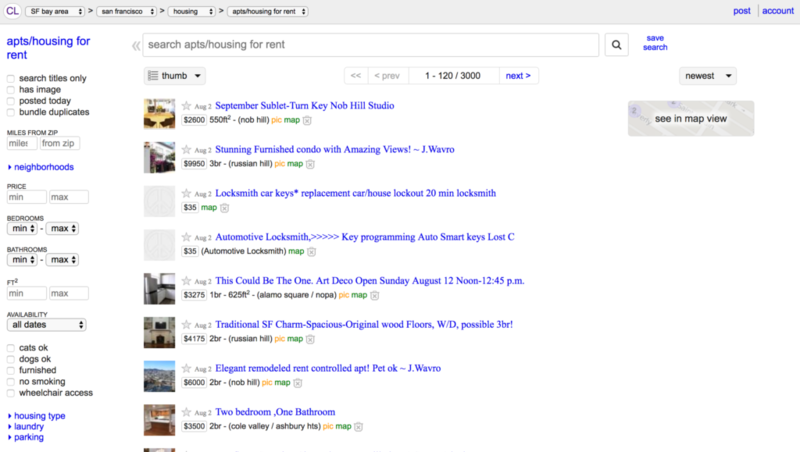 Craigslist is perhaps the best example of this: it gets the functional job done with a poor interface. It still dominates the market for person-to-person buying and selling because it gets the functional jobs of buying and selling done (i.e. it has market liquidity), even though its interface has been given very few modern improvements. Building a product your customer actually needs requires you to understand all the jobs (functional, emotional, and consumption) they are hiring for. But what separates successful companies from failing ones is the ability to identify the most important functional job they have and what needs you can fill to get that job done for them.